I love trying out different skincare products, but I am really picky about masks specifically. The only mask that I have tried that actually makes a difference in my skin is the Aztec Secreat Healing clay mask. 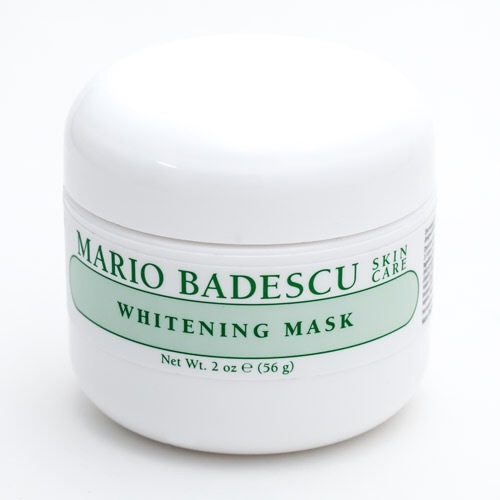 I saw that this mask had really good reviews and I just love Mario Badescu products in general because they are not too expensive and I haven’t been disappointed by their performance yet…. and this mask is no exception! Supposed to give a brighter complexion with Kojoc Acid and licorice, mulberry, and grapeseed extracts. Designed to help reduce the appearance of dark spots. Contains beeswax to help seal vitamins and nutrients into your skin. The consistency is very thick and a little bit goes a long way so this jar will last a while. It also smells amazing! When I read all this info on the jar I was like YES YES YES YES! But of course, you never know if a product works until you try it out. I have used this mask four times since I bought it and I have actually noticed results! This mask has definitely evened out my skin tone AND drastically faded my acne scars. They are not completely gone, but I feel so much more confident leaving my house without makeup or even concealer to hide them. The directions say to apply a thin layer of the mask to clean skin, wait 5-10 minutes and then rinse off with warm water. Use 2-3 times a week. The mask is really gentle and doesn’t sting or burn like the Aztec mask, but this is also not meant for reducing blemished and cleaning out your pores. It does dry down quickly and makes your skin feel firm, but it is not uncomfortable at all. Even though it says to use 2-3 times a week, I have been using this every night since I got it after I cleanse my skin. It doesn’t dry out my skin or irritate it, so I just use it every night for faster results (plus it just feels really good). Bottom line: If you struggle with acne scars, dark spots, uneven complexion etc., I really think you should try out this mask! I have noticed a big difference and this is definitely something I will continue to repurchase! I suffer from acne marks, blemishes & uneven skin tone! hmmm 🤔 sounds like an addition to my wishlist!! I just used it again and am so in love with it!